About Your Job:We are seeking a highly talented, experienced and motivated person to join our team as Corporate Account Manager-new business in Frankfurt. 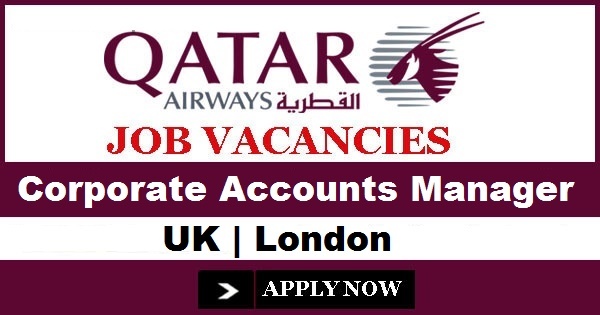 In this role you will be responsible to drive Qatar Airways sales performance in the market through the implementation of the Qatar Airways sales strategy across a portfolio of trade partners maximising revenue contribution. You will ensure that revenue targets and business plans are met and cost of sales is kept at a minimum. You will develop and maintain long term strategic relationships with Qatar Airways corporate partners as well as preparing an account development plan. You will develop the tactical sales and marketing activity in support of sales opportunities in both trade partners and the corporate market place. Further to this you will maximise value from the marketing spend, manage an individual expenditure budget and maintain sales standards. This is a temporary position for a period of one year. Fluency in English and German (written and spoken) is essential for this role. You must also have the right to live and work in Germany to be considered for this role.